The following is a guest blog post from Amy Harris. Amy Harris is a writer for Expert Market – which offers a free service to businesses, providing a sourcing tool for finding office equipment and business services. She enjoys staying on top of marketing trends and helping businesses with their marketing efforts. It is a fact that utilizing the power of Google+ is essential for businesses looking to gain an edge against their competitors. Not only does the network have over 250 million users, but Google+ can also have a significant impact on your SEO. Without a doubt, using Google+ will give your marketing campaigns the advantage with regards to search engine visibility and gaining credibility. 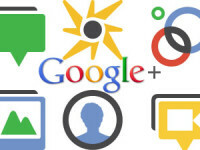 However, to make Google+ work effectively for your company, you must follow these five simple tips. In any social media, marketing success depends upon engaging in the relevant conversations. The best way to do this on Google+ is to combine your business page and personal page. Through your personal page, you can use the Google + shared circle databases to begin conversations with people relevant to your industry. This is the most effective way to get started because on Google + business pages because you cannot circle people, they must circle you. To get people to circle you, refer to your business page once you have engaged in a conversation. Introductions in this manner are more likely to encourage others to circle your page. Like it or not, Google + profiles are becoming increasingly important for search engine rankings. The next step in getting this service to work for you is by making the most of your ‘about’ page. This page offers an overview of your company’s products, and can include links to your webpage which should drive traffic to the important parts of your website. Ensuring the about page includes the relevant keywords for your industry will increase the SEO of your page. Hangouts are a way in which marketing departments can connect with customers on Google + and build excitement through online events. Hangouts are especially popular with business to business based companies, but increasingly they are also being used with great success in many different marketing campaigns. Taylor Swift announced her new album in a Hangout and the date when her single would be released. That song got to number one faster than any other record in history. Setting up Hangouts also allows customers to visit your business even if they can’t attend real life events you are running. The Events section is similar but also is a way to invite your clientele to real life events that you are hosting. Including a confirm option helps you monitor interest in the event. The most popular Google+ pages offer unique and unpredictable content. The type of content that proves popular on business pages are customer video testimonials, or videos giving away useful information such as tutorials. For a video to be of interest to customers it must offer something the customer values, so generic information will not be enough. Videos that prove to be a hit with customers can also be shared on YouTube which provides a further boost for your marketing activity and SEO. The final step for businesses to take is to sign up for the Google+ Authorship scheme. The Google Authorship program is Google’s way of authenticating your business and accepting it as a source of high quality content. Once you set this up, you will immediately gain marketing benefits such as your picture showing up next to blog posts. This step alone has been demonstrated to increase traffic to websites. Once you enter the authorship program, any original posts made by you will rank higher than any posts which have scraped your original content.